Do Certain Roof Surfaces Increase Solar Potential? Ready to hit the button on solar? You might want to think about replacing your roof, too. 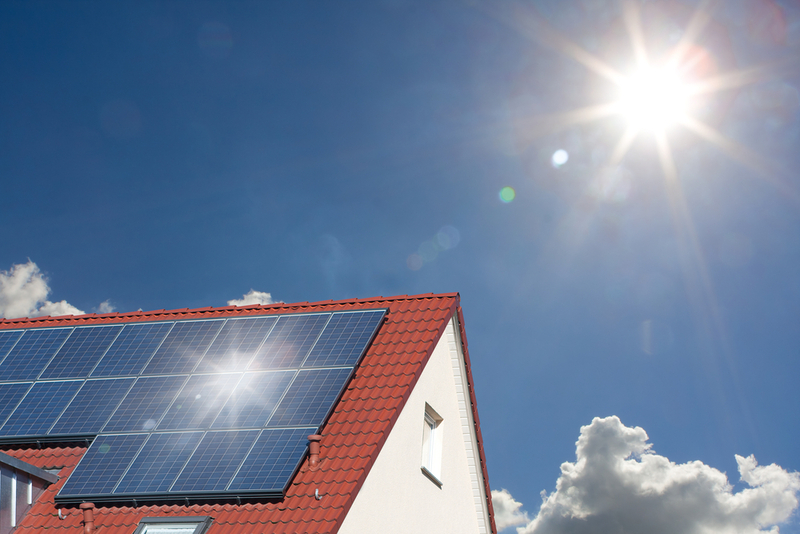 A lot of homeowners find themselves contemplating a roof replacement when they go solar. After all, it only makes sense to get your roof in great shape before you slap panels over it. And that way, you won’t have to pay to remove and store the panels in a few years, when your roof needs some attention. 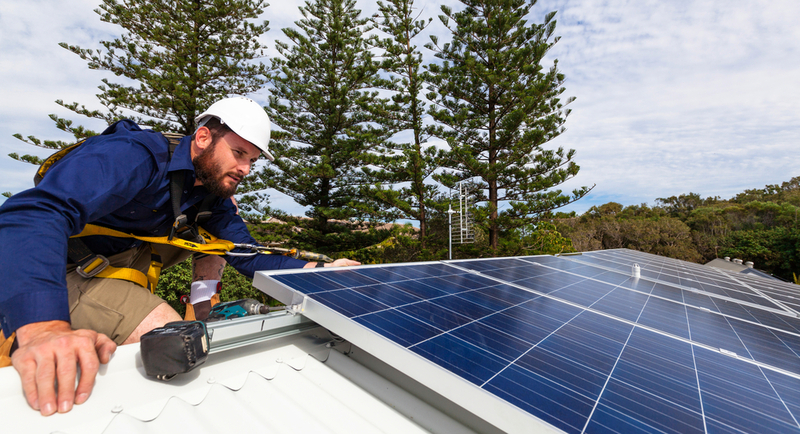 If you’re thinking about pairing a reroofing project with your solar installation, you may be wondering how your new roof will affect your renewable energy system. Namely, are there types of materials are better for solar production? The answer, in short, is yes. Solar production can be massively impacted by the surface temperature of your panels—so reducing thermal transfer from a hot roof can definitely ramp up output, especially on a hot day. Solar cells are hot—and not just in the trendy sense of the word. The productivity listed in panels’ specs is based off their output at around 77 degrees Fahrenheit. But on a hot day, panel surface temperatures can quickly rise above that baseline level. In fact, in the summertime, they can easily reach 115 degrees or more. Unfortunately, though, the hotter panels get, the less efficiently they work. It sounds a little bit counter-intuitive, but high heat can potentially reduce output by 10 to 25 percent. Why would that be? Shouldn’t more sun and heat equal more electricity? You might think so, but you have to remember that solar cells are still electrical equipment. Electricity is equal to the voltage times the current, and when temperatures rise, it increases the current’s output exponentially—but the voltage reduces linearly. That adds up to lower production, overall. Essentially, what you can deduce from this is that the hotter your roof is, the worse off solar output will be. Surface heat on roofs transfers to panels from below, warming them up and causing a drop off in production. So given this principle, what kinds of roofs fare the best? Many metal roofing products come pre-treated with cool roof coatings—a reflective layer that reduces the surface temperature of the roof. Some manufacturers claim that their coatings can lower surface temperatures on metal roofs by up to 30 percent, which is a pretty significant reduction, when you consider that roof surfaces can easily climb to 150 degrees Fahrenheit on a hot day. That heat is passed on to photovoltaic equipment using a process called thermal transfer. Not only do elevated temperatures drop solar production, they also increase electrical resistance in the circuitry used in systems, meaning they can eventually wear out components and reduce their efficiency over time. Metal roofs aren’t for everyone, though. While they have many benefits, especially when it comes to their durability and weather-resistance, they’re also more expensive than standard asphalt shingles. Asphalt will cost you around $90 per roofing square, compared to $120 to $150 for corrugated metal panels. Tan, beige, cream, or other light-colored asphalt products certainly don’t get as hot as darker shingles. It’s just physics—a lighter material reflects more of the wavelengths on the visible light spectrum, rather than absorbing light and heat. It’s unclear exactly how much of a difference this makes to your system. But it follows that a lighter surface would reduce thermal transfer onto your panels, keeping them cooler and thus more efficient. So if you already like the look of lighter shingles, they may be a wise way to go when you replace your roof before installing solar. The height of the mounting system. Panels that sit several inches above the roof’s surface may reduce thermal transfer, compared to those that are placed closer to the shingles. Additionally, that can also help with rain runoff as well. The location of the inverters and combiners. Mounting the panels slightly above the roof’s surface also provides some room for the system inverters and combiners—the equipment that converts the energy from the cells into usable electricity. Storing the inverters under the array shades them from the sunlight, keeping them cooler overall. Of course, your home’s climate and location, as well as the orientation and slope of your roof also play a huge part in the solar potential equation, too. Interested in learning more about how your home stacks up? Use a solar calculator to weigh your home’s solar potential—and see how much a solar energy system might cost you. Along with reroofing, it’s a great way to take control of your solar production!